To restrict access to a specific field to use in Reports and People Views, simply go into People > Categories and select a people category to edit. As this setting is global it doesn’t matter which category you select. 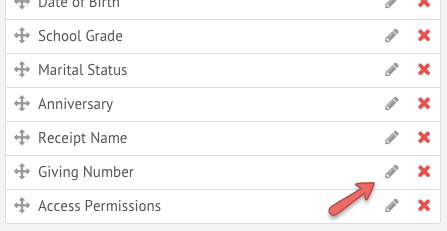 Then click the pencil Icon next to the field you’re wanting to restrict. 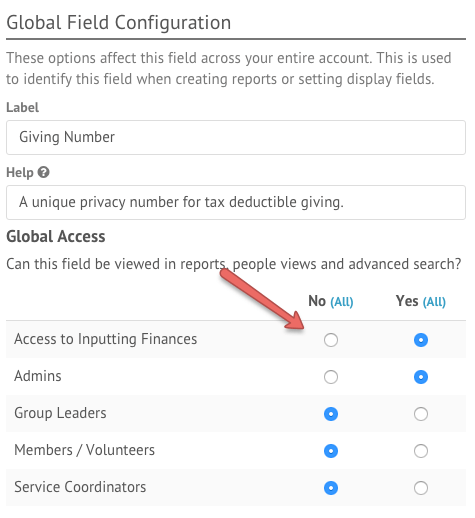 Select the access permissions you want to be able to see the field, or the ones you want to hide the field from when creating reports and people views. Once you’ve finished your changes, you’ll want to save both the Field, and the layout!